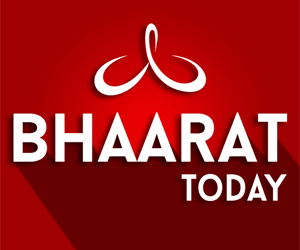 Bharat, that is India, has been the Hindu Rashtra from times immemorial. It is well known over several millennia ,for its highly esteemed tradition of Sanatana Dharma, now popularly called as Hinduism. The glory of our country that spread to all the corners of the world, is due to its unique and dignified life structure of the Hindus of this country. Here Dharma was the way of life. Truth was the principle of speech. Peace in the society was the objective. Tranquility of mind was the condition. Penance was the methodology. Universality was their outlook. Liberation was their goal. Equality of all creatures was the rock foundation of their thinking. Freedom of religious practice was without restrictions. Approach to trade and commerce was with highest level of righteousness, Vedas and the knowledge in any subject was without parallel. Encouragement to arts and science was spontaneous, Society with undivided families was a common feature. Affinity and affection were observable everywhere. Poverty was unknown. Scholarliness was the point of admiration. To summarise, Satyameva jayate naanritam, Ahimso Parama Dharmah and Dharmo Rakshati Rakshitah etc. were the tenets scrupulously followed by one and all. But wealth gave place to laxity. Passive nature became weakness. Pausity in research led to backwardness. Disunity of rulers became the curse. Richness of people and country was source of attraction and jealousy for foreigners. Petty rivalry among the local princes led to slavery of the nation. Ultimately aggressions, looting and molestation by alien rulers became the order of the day. However, mistakes were identified. Nationalism and patriotism were again ignited. Unity in diversity was highlighted. Donations poured in. Vande Maataram became life line for millions of Hindus. Sacrifices were made. Sages and saints gave clarion call. People became one. Self respect and bravery drove away the foreign rule. World was astonished at the rebirth of independent India and its spectacular achievements. But the process of struggle for independence at the end had to witness some blunders . Very big chunks of our holy land were cutoff bluntly and brutally. Size of India contracted from 72.30 lakh square kilometers to 32.87 lakh square kilometers. Percentage wise it is 45.5%. It means that today’s India is less than half of ancient India. It is a hard fact that we can not digest at all. Rest of ancient India is occupied by a set of enemical countries, always mongering for wars with modern India. New points of constant hatred and friction were created. Rights of native Hindus were usurped. The patriotic Hindus, who sacrificed every thing of theirs with love and devotion for independence of this holy land, were forcefully made equal to aggressors, traitors and foreigners, who have no love or lust for this land. Sanatana Dharma of this land, which bestowed the unique way of life from time immemorial, was trampled and was made equal to the faiths which vowed to destroy and replace the former. Hindu Rashtra was converted as a land of all, where patriotism has no meaning. The owners of this land were asked to live and share with looters, killers and usurpers. Hindu Rashtra is renamed as India. With restoration of partial independence, millions of Impoverished Hindu families had high expectations of a brighter future for their succeeding generations. The values for which this country stood for longest spell of time known in human history were thrown to winds. The ideals for which millions of Hindus sacrificed were set aside. Temples, which stood as eternal symbols of Hindu magnificence, are dumped with unscrupulous politicians. Cow which was revered with divinity is made an easily available eatable item. Dharma is questioned. Sri Ram’s birth place is challenged. Dress code has changed. Indian languages are heckled. Conversions to other enemical religions are unabated. Political parties are competing with each other in appeasement of followers of enemical faiths,. Leaders are not daring to sing “Vande maataram”. Millions of foreign refugees are allowed inside. Hindus have become refugees in their own mother land. Demography is changing. 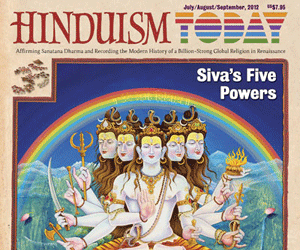 Threat to survival of Hindus has increased manifold. Selfishness alone is the only rule. Self respect is mortgaged. Clinging to power, at the cost of national ethos, became the goal of life. The set of words “Hindustan, Hindutva and Hindu” have become a taboo to utter. Educational system was spoiled. History was altered drastically. To say briefly, the dacoits and thieves are virtually becoming the owners and the real owners are being driven away. No hope for Hindus to live in this country with self esteem! More than all, the mindset of Hindus is totally polluted. Hindus have become enemies to Hinduism. Will Durant:“The Mohammedan Conquest of India is probably the bloodiest story in history. Mahatma Gandhi-If I had power and could legislate, I should certainly stop all proselytizing". "I resent the overtures made to Harijans." "Stop all conversion, it is the deadliest poison that ever sapped the fountain oftruth." Poverty doesn't justify conversion. 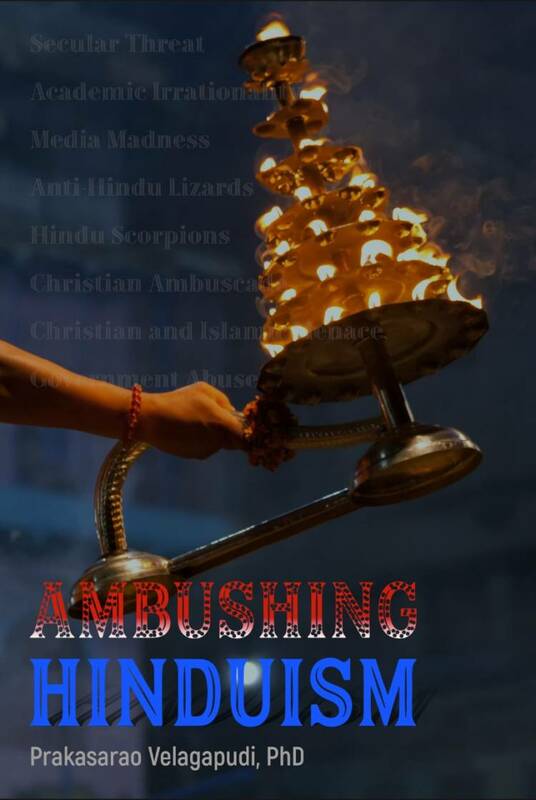 The author took lot of pains to collect data which is viciously propagated by persons and organizations working against Hinduism and Hindu leaders. Under these chilling conditions, the only leader who is representing Hindus and who is fighting for the rights of Hindus and the temples of Hindus is Dr. Subramaniam Swamy. His works are the only solace for Hindus, in India and abroad. His demand for Hindu Rashtra is not a slogan for electioneering. Hindu Rashtra is the correct wording that represented India from times immemorial. It is the concept for which millions of Hindus struggled. It is the aim for which Hindus sacrificed in the wars for independence. What he is asking now is restoration of its earlier status, as it was the Hindus who fought for it! It can not be dubbed as parochial or religious. Hindu Rashtra is a State that has all the foundations of Universality, Freedom of expression and freedom of Practice! I heartily congratulate Dr.Prakasarao garu for his laudable compilation of various articles on the present condition of Hinduism, with the title of “Ambushing Hinduism”.